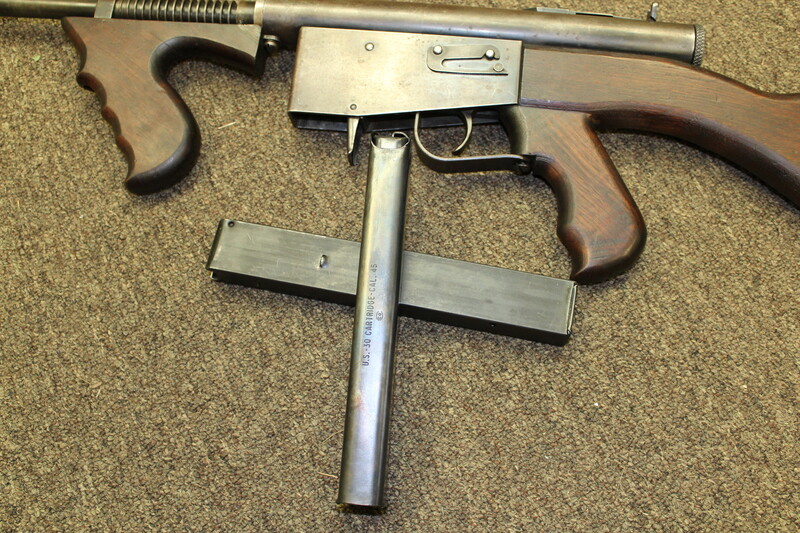 Couldn't locate any M6 mag's so I decided to try my hand at converting a Thompson one. I took a look at the two mag's and thought how hard could it be? First mag I made worked decently well but I decided to change a few things on the second one which operates flawlessly. I cut about half of the Thompson external follower channel, the thing that sticks out the back of the mag to allow it to have enough clearance to go into the M6 magwell. Next, I took the side of an old BAR magazine and cut out a strip of metal which happened to match nicely on the back of where I needed to weld it to the M6 magazine. I welded that on and left a little bit of bead weld at the top of the mag to give it a bit of a rise for the mag latch and also to allow it to fit more snug in the magwell of the M6. 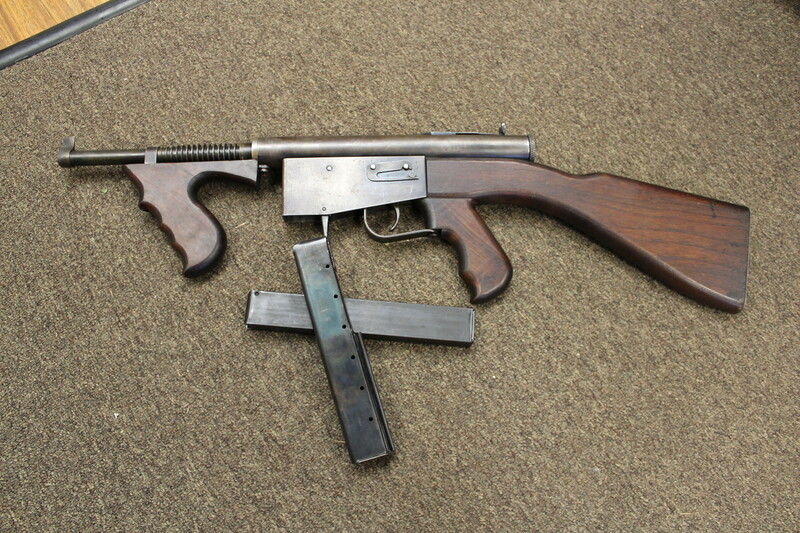 Without this extra material the Thompson was a bit too loose for my taste. Lastly, I filed down the weld bead for the mag latch and voila, an M6 mag. A couple observations. The mag seating depth is critical. A little to far down and the gun won't cycle. On my first attempt, I filed too much and the mag sat too low in the gun and it caused failures to chamber / jam. Once I got the seating depth spot on, it ran no problem. Another thing I deleted was the side tabs on the original M6 mag. 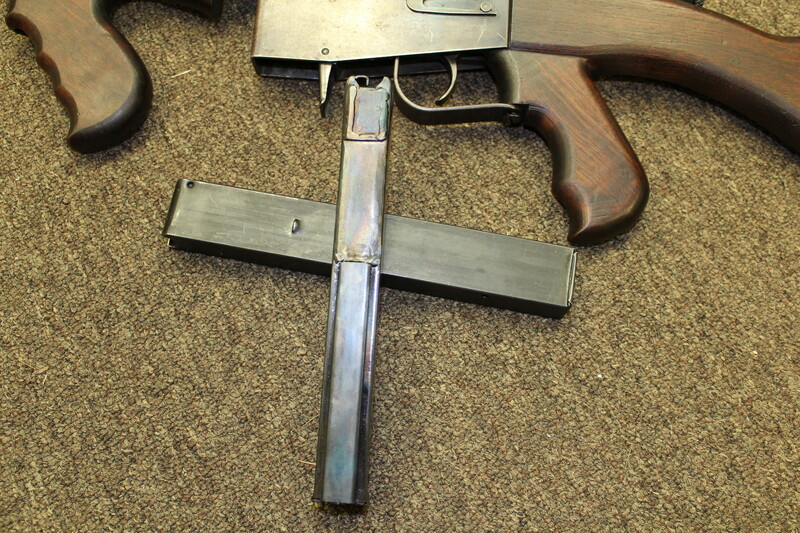 It's not needed provided you cut the Thompson follower rail just enough where the mag release bumps into it if the mag is pushed further. I didn't plan on that happening it just did, lol. It's not the prettiest mag you'll find out there but it beats paying the asking price of M6 mag's. Edited by Rebel Rifle Ordnance LLC, 01 August 2017 - 06:36 PM. Amaze your friends - Shoot your M6! Edited by huggytree, 08 August 2017 - 08:28 PM.